c505218304b50c59c3659f6dda43bae7-links-0–>Ever wondered if our newsletter alerts actually generate real profit–as in verified by brokerage statements, etc? Well, we were previously not able to generate fancy charts and analysis because we didn’t have a separate dedicated account that focused only on our recommendations. Well, now we do — with a separate, dedicated account that began on June 24, 2016 — it’s now been a little over a month. Our trade size is usually based on a $20k account utilizing <25% of the available margin. 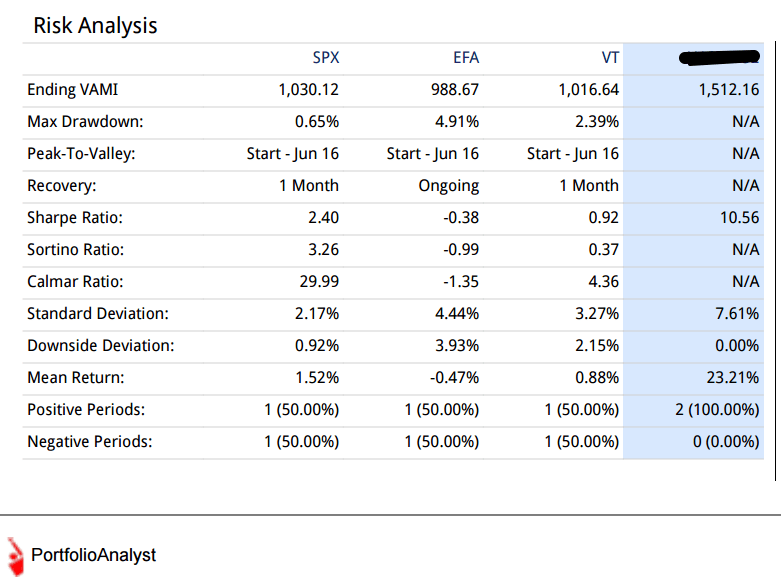 Here are the performance results, full disclosure – as generated by Interactive Brokers — a trusted, publicly traded company. 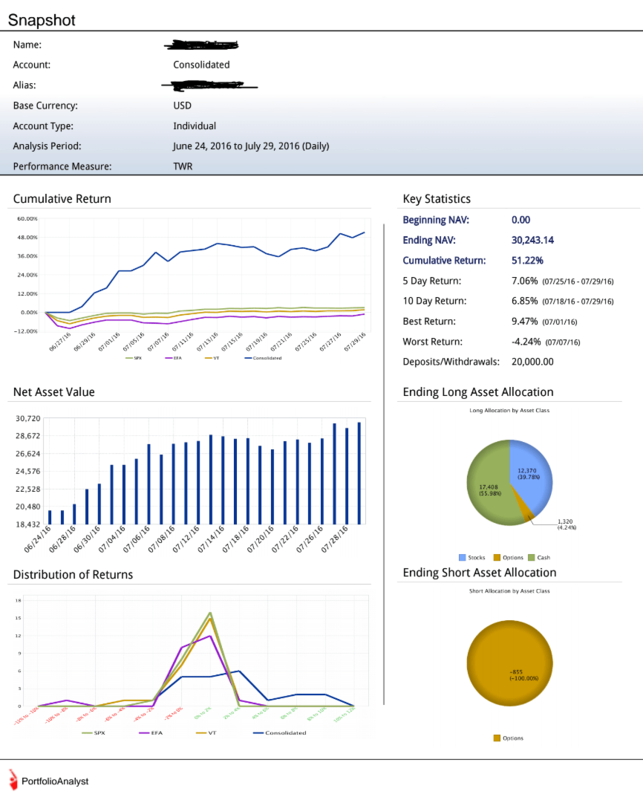 They have this “Portfolio Analyst” tool that auto generates reports. 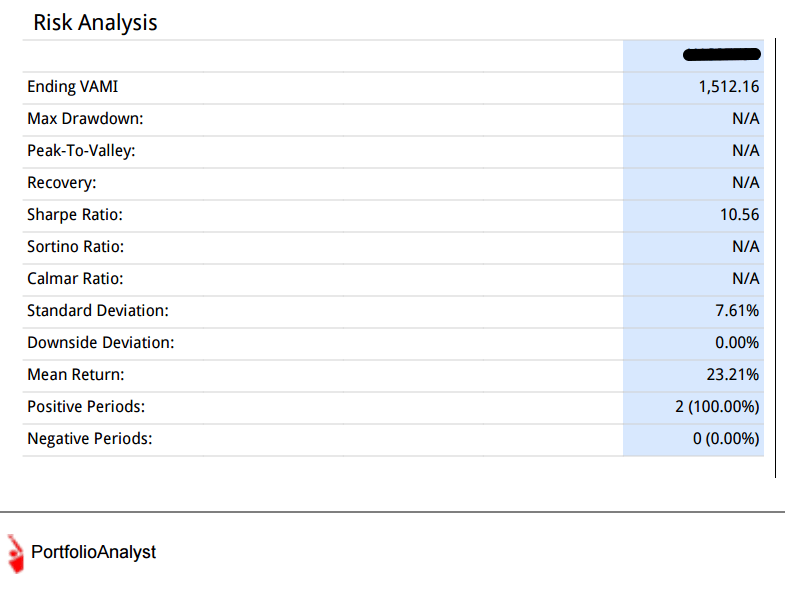 If you have an account, you can also generate one of these reports in your Account Management. Keep in mind this is only for a short period of time and that past performance is not indicative of future performance. You may also reference the disclaimer in the footer of this site. Here’s stats from Global for the month of July and actual transactions. Remember that past performance is NOT indicative of future performance. Timing of when this account started makes a difference. We just happened to not have any negative trades since it began, but hey things can always turn around.